Microsoft has removed a pre-order Web page of Nokia Lumia 1520 on its retail site MicrosoftStore.com 12 hours after it went live Tuesday night. 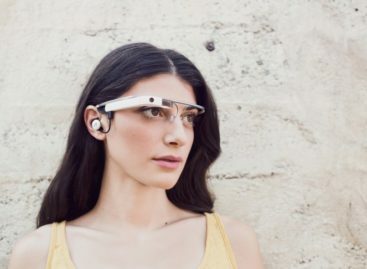 In a statement emailed to Computerworld, the company claims the product page was supposedly a test, but it was launched prematurely. However, Microsoft says it will honor any pre-orders submitted for the Windows 8-powered smartphone while the page was up once the smartphone officially becomes available. This is also applied to orders for the accompanying flip cover. 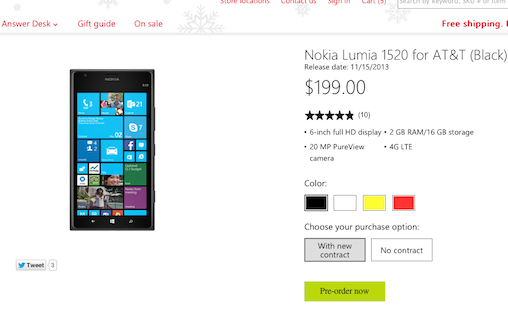 The now-removed page allowed consumers to order the Nokia Lumia 1520 in advance. The 16GB version, which sports a 6-inch display, will cost $199 with a two-year carrier contract with AT&T. Those who prefer their phones contract-free can order the same for $549. Buyers can choose from four color options. The page also displays the Lumia 1520’s release date as November 15, which Microsoft did not confirm in its press statement after the pre-order page was removed. But judging how the company would honor the premature pre-orders, we think the information about the price and availability is accurate. 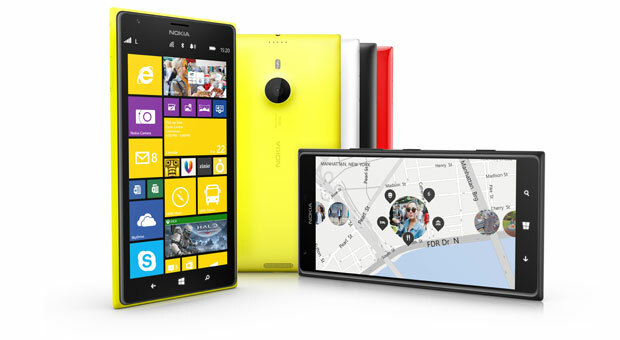 The Nokia Lumia 1520 also sports a quad-core 2.2GHz Qualcomm Snapdragon 800 processor, a 1920 x 1080 screen resolution, a 20-megapixel rear camera, a 3400mAh battery, and works on 4G LTE networks. It is also the first smartphone in the market to feature a new capability in Windows 8 called the General Distribution Release 3 (GDRS3). This program, among other things, can block phone calls and text messages while the user is driving a vehicle.